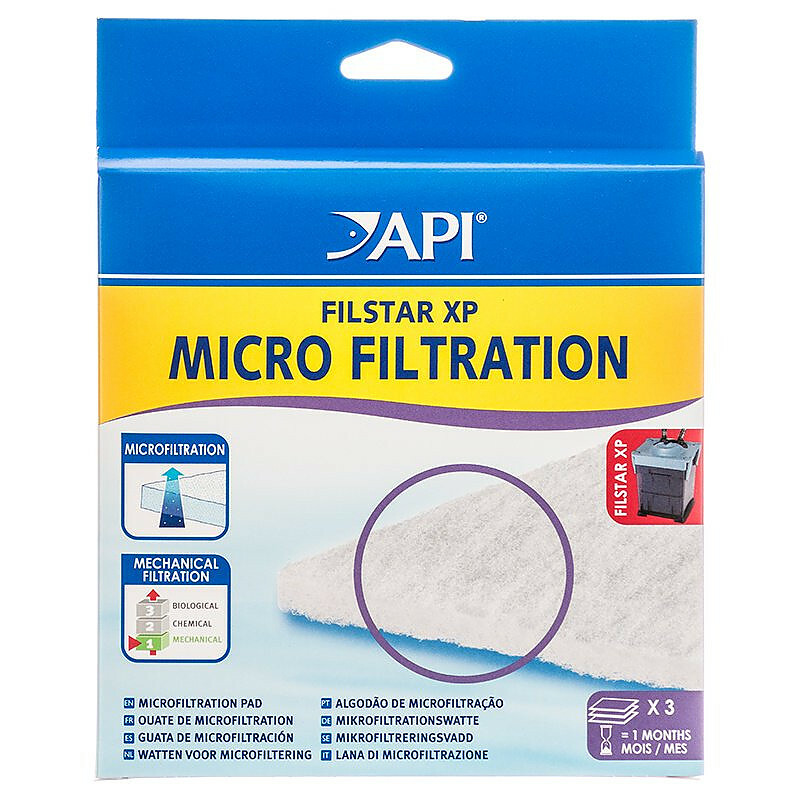 API Filstar Micro Filtration Pads provide ultra-fine water filtration and polishing for a remarkably clear aquarium. 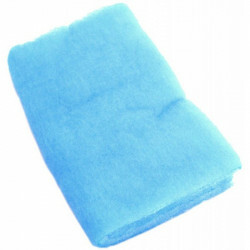 These cotton filter pads remove extremely fine waste, particles and sediment from your aquarium water, preventing cloudiness and maintaining a healthy aquatic environment. 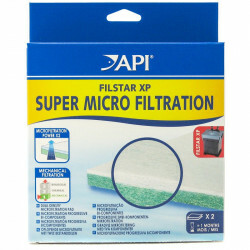 Filstar XP Micro Filtration Pads satisfy your fish tank's mechanical filtration needs. Maintenance: Replace the cotton pad every time the water is changed or at least once a month. Instructions: Place a cotton pad into the top filtration compartment. I replace these every 4-6 weeks in my two Rena XP3 filters that I run on my 80g high tech freshwater planted tank. Best price on the web and highly recommended! Great prices and selection. I really like my Filstar XP pump. Nice filter pad. Leaves my water clean and you clean the pad and re-use it again. Just rinse to clean it out and put it back in the filter again. I use these in both my Rena XP3 (Filstar L) canister filters (75 gallon tank). I load two of them in the top tray in both my filters and they keep my water looking great and prevent small particles being released back into the water. I rinse them out in a bucket of aquarium water every 30-45 days and they work good for at least 6 months. 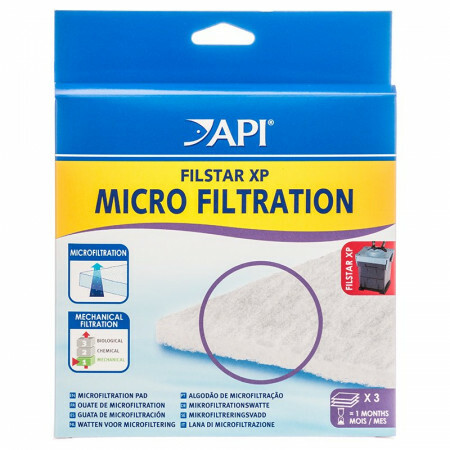 I have not tried the "super" micro filtration pads yet due to the price diff, but these seem to do the job just fine when I double them up. 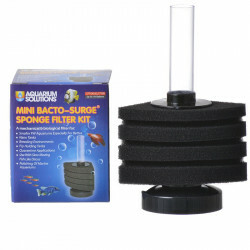 This sponge is a great part of your filter - a must have. If you don't own a Filstar filter, the Rena media does fit other canister filters. Buy them, you will be glad you did. I am using it together with the Rena filter pads that normally go on top of the unit and I have found that the filtering unit does a much better job of keeping my 75 gallon tank crystal clear. 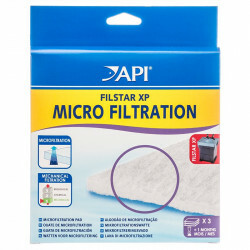 I have used the Filstar Micro-Filtration Pads in my Rena XP3 since I bought it. This is a great and easy to use product that promotes a healthy environment for your fish. Micro-Filtration keeps my water polished! I've found these pads to be indispensable. I use two in each of my XP3 filters. On one top of each of the Middle and top baskets (following the biological and Chemical filtration respectively). The pads do an absolutely outstanding job of filtering fine particles from ever reaching my tank. I ran my system without them for about 3 weeks once when the pads had worn out and I didn't have replacements... The particulate matter in the water was definitely noticeable. If you're interested in keeping your water crystal clear, a micro-filtration pad definitely is a great choice. I've found the pads can be rinsed and re-used about 3 times before needing replacement (about 4-10 months of service). To save time, you can also simply toss the old ones and put new ones in. Since noting the visible difference, I keep these on hand always! This is a great filter and even better that you can get the parts for such a good price! We have used the Rena FilStar Canister filter system since we set up our aquarium. The system is very easy to use with very little mess. The Micro-Filtration pads and Bio Chem Zorb keep the water crystal clear. We are very happy with the system.